--Before use,rinse with clean water and dry. --Loosen the headbands and place mask on the bottom of your face. --Put snorkeling mask on and place head in water. --Breath naturally when dry top is above water. the mask and your jaw, then push mask upwards over your face. --Keep in a cool and dry place. Do not expose to direct sunlight when not n use. --Use only lint-free/scratch-free eyeglass cloth to clean and dry the surface of mask. --After use, rinse with clean water and air dry. into warm water for a few minutes and air dry. --Do not use mask if damaged. 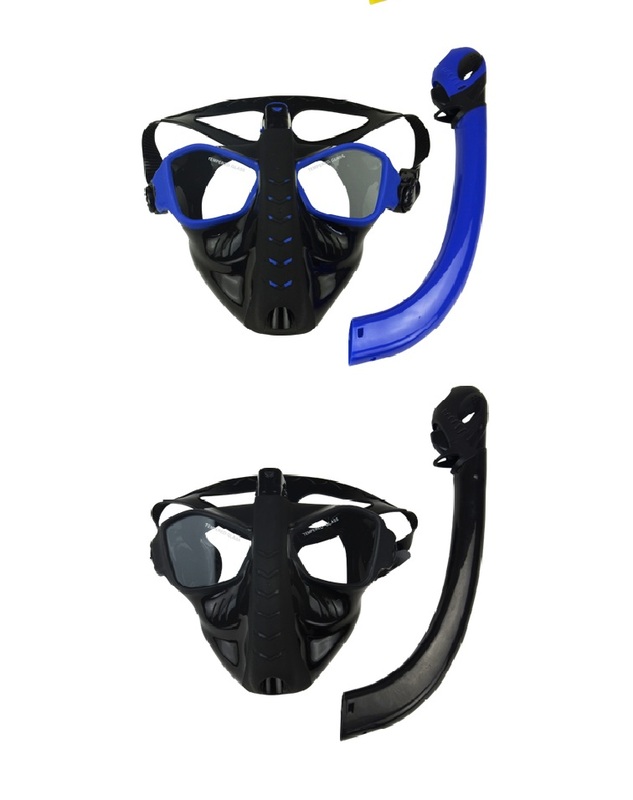 --To dive or Jump into water by wearing mask is not suitable. 3. Please notice we will not responsible for customs duties, there may have customs duties due to some country\'s customs policy.